The colors of this arid landscape are beautiful and ever changing as the sun traverses the sky. 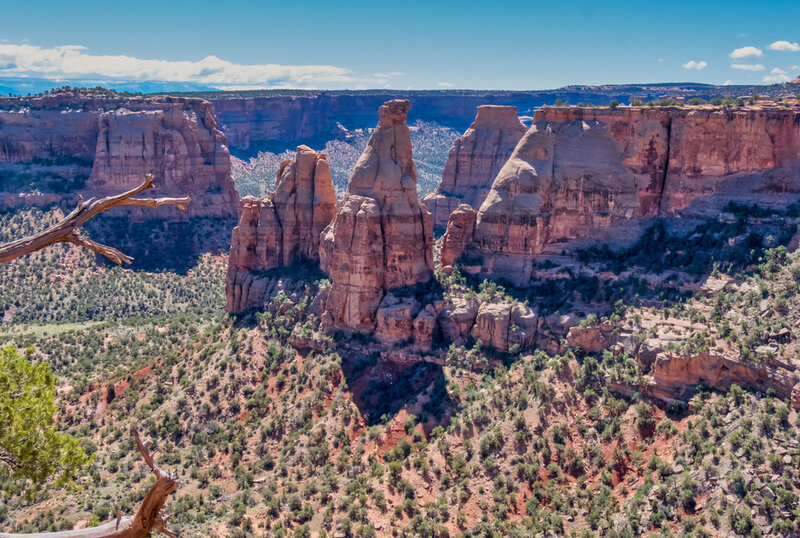 The park is found in the extreme western edge of Colorado just a few miles from Utah. We never even heard of this place but the trek to all parks led us here for an afternoon. We ought to have stayed longer but we could not this trip. I had no idea it would be as interesting or have so many hikes. Points out why you need a bit of research before you arrive. We are doing our homework on Alaska - or so we think.